Addis Standard – If you can please start by telling us about the historical background of Irreecha (Thanksgiving) within the Oromo nation? Alemayehu Diro- Irreecha is one of the ancient ceremonial events taking place twice a year ever since the existence of Oromo as a nation. The Irreecha festiv­ity celebrated in Birraa (in September and October) is the cultural expression of Gal­ata (thankfulness) to Waaqaa (equivalent to the English word God) for providing life necessities to human beings and other living things. This is because the Oromo believe Waaqaa is the sole creator of everything and source of all life. It is also regarded as pure, omnipresent, infinite, incomprehensible and intolerant to injus­tice, crime, sin and all falsehood. It can do and undo anything. 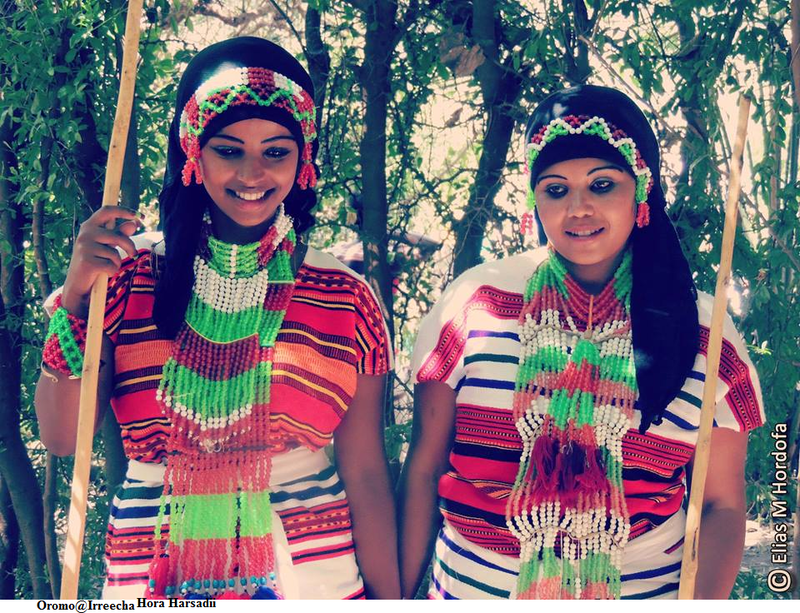 Irreecha constitutes one of the several re­ligious and cultural practices defining the hallmark of the entire Oromo life. It has promoted and enhanced understanding and unity among the Oromo. It has helped build their common values and shared visions, and consolidated peace (Nagaa Oromo), tolerance and resilience. Dur­ing Irreecha festivity, the Oromo pray to Waaqaa for peace and stability to prevail; prosperity and abundance to exist; law and social order to be maintained; and the environment to be protected. The Oromo also pray to the supreme Waaqaa for de­liverance in times of difficulties and chal­lenges. This cultural and religious practice of the Oro­mo was systematically outlawed for more than a century following the fall of the Oromo nation under the tyrant and brutal rules of Minilk II and subsequent Regimes. Despite several odds and difficult circum­stances, however, Irreecha has begun to revive in the last two decades. The festivity has registered impressive development from year to year in terms of the number of people attending the occasion and cultural shows being demonstrated. 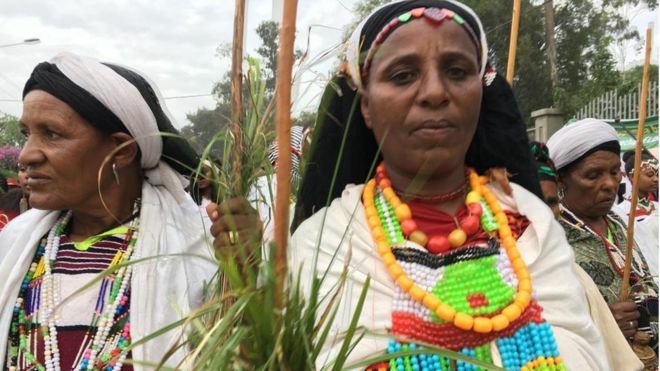 In particular, the Irreecha festivity taking place at Hora Harsadii in Bishoftu has uniquely become Oromo-wide religious and cultural event drawing millions of people from all cor­ners of Oromia and beyond. AS – How do you describe the main differ­ences between Irreecha and other tradi­tional or religious festivities celebrated by Ethiopians, such as Meskel, Christmas (Gena), or Easter (Fasika)? AD – All religious and cultural festivities prac­ticed by different people have some de­gree of similarities and differences. All such festivities describe worldviews of the respective people practicing them. By a worldview I mean a system of values, attitudes, and beliefs, which provide peo­ple with different mechanisms to understand the world around them.Irreecha, Meskel, Gena and other similar rituals are cere­monies that celebrate or commemorate specific events that have deep religious and cultural significance. Rituals serve to reinforce important religious and cultural beliefs through meaningful activities that bring comfort and unity of the respective followers. I think in this general sense we may talk of similarities of various religious and cultural festivities. However, since our value systems, attitudes and beliefs are different, their reli­gious and cultural ceremonies and practic­es remain different. 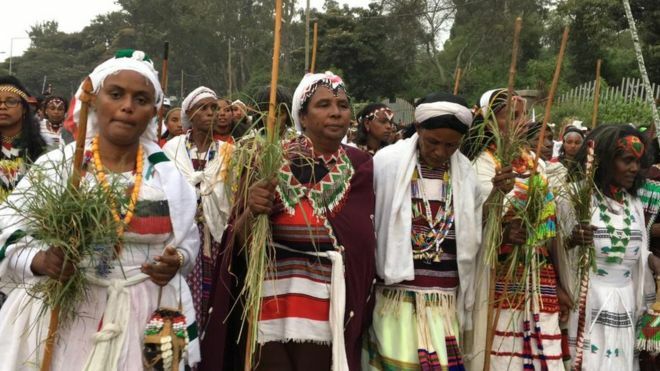 In this regard, Irreecha is different from other festivities such as Meskel and Gena in that it provides the Oromo with mechanisms to understand their worldview. For example, it provides the Oromo in a unique and particular way a system of morality that establishes right from wrong, good and appropriate from bad or inappropriate behavior. The Oromo have complete sense of ownership, full control and leadership over Irreecha as an institu­tion. Some Oromo may attend and ac­company Meskel and Gena festivities but do not have shared objectives and decision-making powers on the institutions. 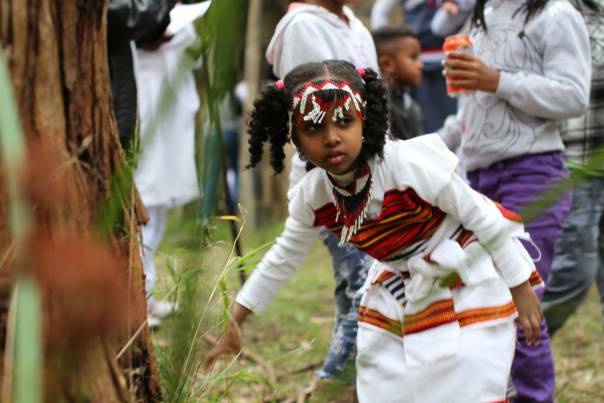 Irree­cha is celebrated in the manner that the Oromo would like it to be. It is an inven­tion of the Oromo whereas Meskel and Gena are not. AS – The Oromos’ participation in many spheres that define Ethiopia’s socio-political and socio-cultural landscape has been largely marked by absenteeism, particularly pri­or to the 1991 regime change in Ethiopia. 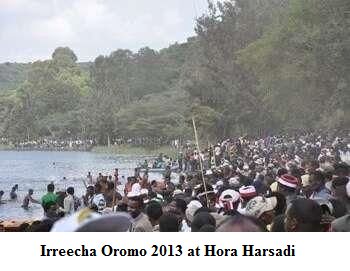 And yet Irreecha has been one of the few festivities that the Oromos were able to preserve. Why do you think was that? 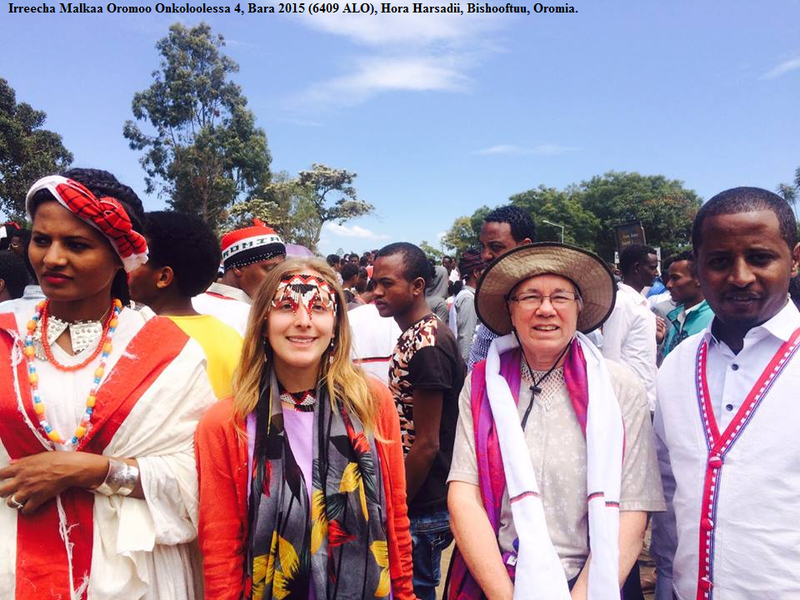 AD – I do not think the Oromo preferred ab­senteeism to participation. As the sub­ject people, the Oromo were denied the rights and opportunities to be part and parcel of mainstream socio-cultural and political economy of Ethiopia for over a century. Successive Ethiopian Re­gimes have forcefully destroyed the Oromo Gadaa system, robbed of the Oromo land and natural resources, denied them official use of their language (Afaan Oro­mo), prevented them from exercising and developing their culture, and systemati­cally pushed them away from participat­ing in key economic matters. 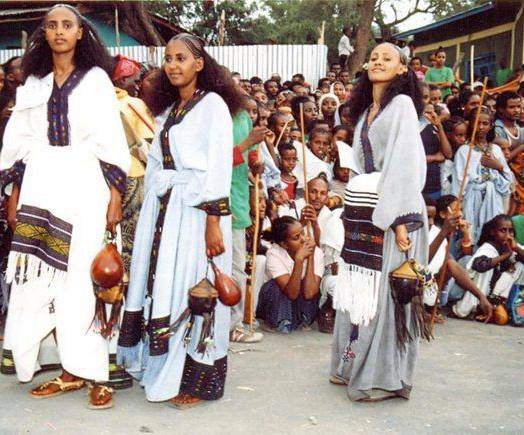 They were officially denied to be called Oromo and were given a derogatory name called Galla. Ethiopia’s successive regimes were nasty and hateful to anything Oromo. In short, the Oromo were reduced to slavery for over a century. 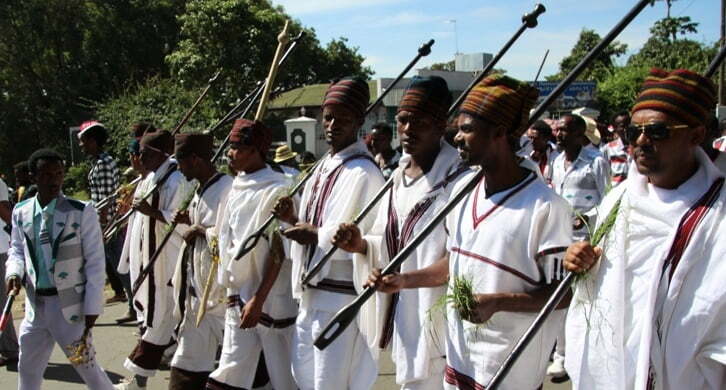 Irreecha happens to be one of the Oromos’ religious and cultural rituals abandoned by these ruling regimes. But despite the cruelty and enmity, the Oromo paid heavy sacrifices to preserve their language, cul­ture and religious values. At present, at least in thoery, the Oromo have repossessed their land and natural resources thanks to the 1974 revolution that led to state ownership of land proc­lamation. Afaan Oromo is the national working language in Oromia. Gadaa, the Oromo traditional democratic system of governance, is reviving. The traditional support systems such asBuusaa Gonofaa are also coming to existence. Irreecha is just one of the major cultural rituals the Oromo were able to preserve overcoming several odds and difficulties. 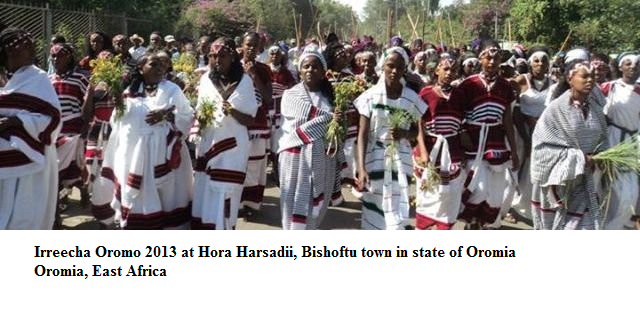 It constitutes one of the vivid cultural renaissances the Oromo have been experiencing since the last few years. 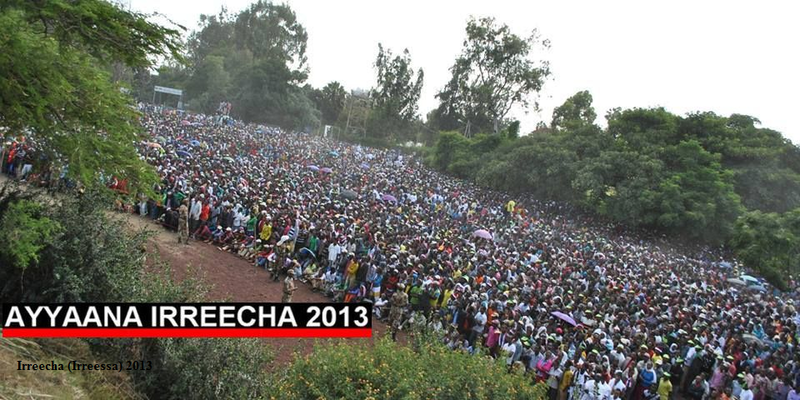 AS – As of late the number of people attend­ing Irreecha in Bishoftu town has seen a significant increase. By a rough estimate between four to five millions Oromos were reported to have participated in the last Irreechaheld in October . Do you attribute that, as many peo­ple do, to the growing movement of Oro­mo nationalism? AD – Attributing the growing number of partic­ipants in Irreecha to the growing Oromo nationalism is absolutely true. 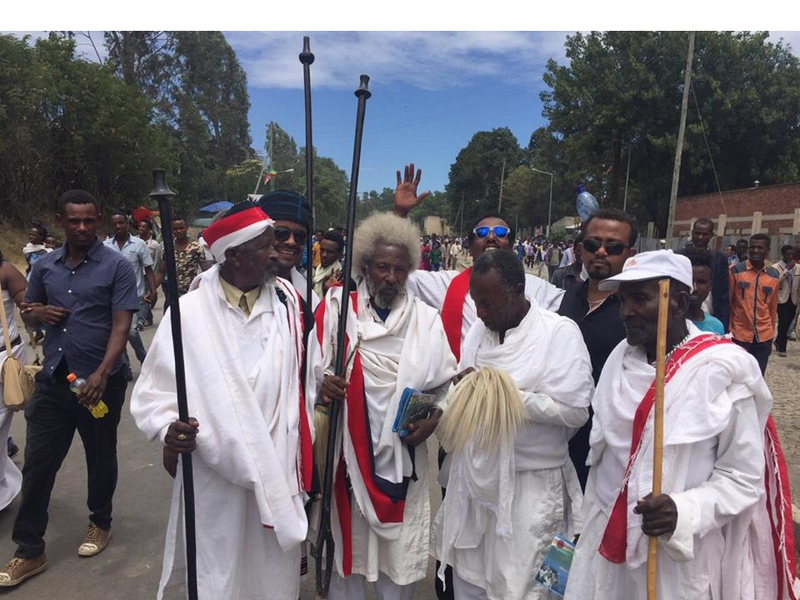 That is why millions of Oromos from various geo­graphical areas and religious backgrounds come together to attendIrreechaa at Hora Harsadi. Apart from its cultural and reli­gious functions, Irreecha symbolizes the unwavering unity and solidarity among the Oromo nation. We all understand that the festivity at Hora Harsadi is one of the biggest rituals in the country. We are also observing multiple localities in Oromia where people celebrate Irreecha on same or different dates in the same fashion as the one in Hora Harsadi. 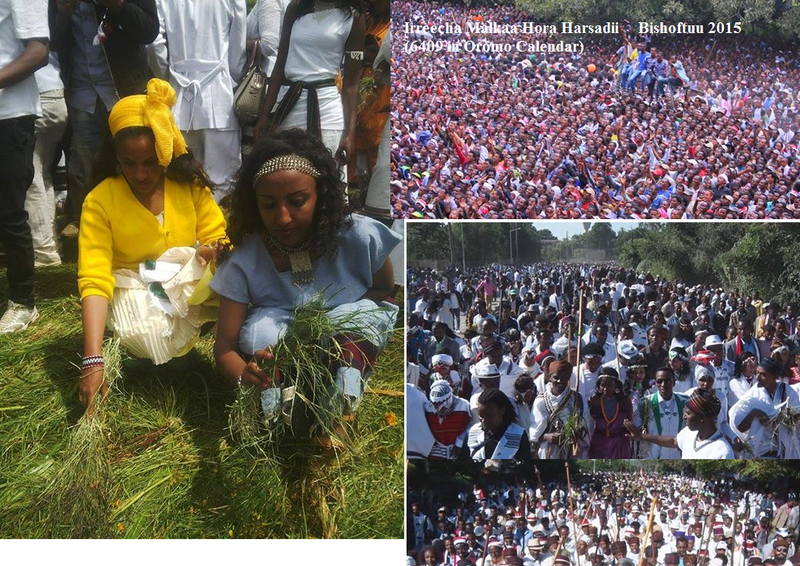 The Irreecha ritual is unexpectedly spreading across different countries and continents of our globe where the Oromo live as well. If we bring all these together, the attendants are numbering in tens of millions, which means the overwhelming majority of the Oromo are brought together because of Irreecha to pray for their unity, freedom and wellbeing. 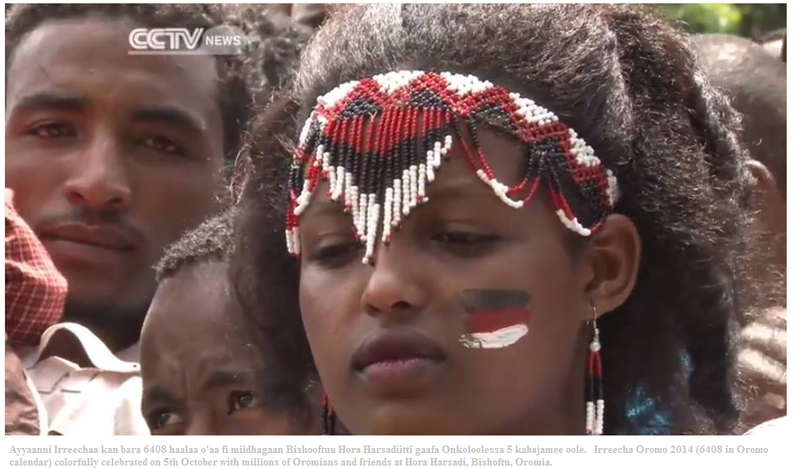 Verities of cultural dress­ings and songs plus associated joys, hap­piness and other emotions are self evi­dent expressions of the growing Oromo nationalism. 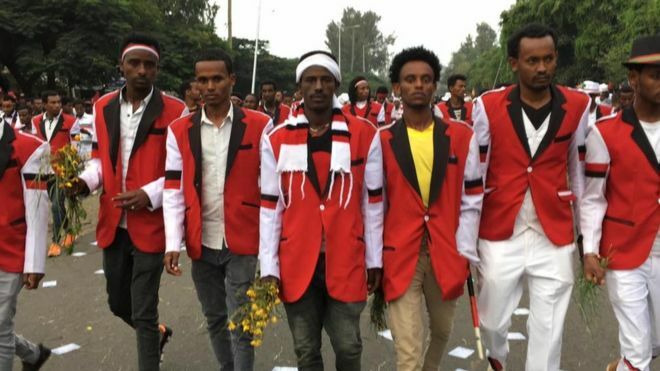 AS – Such assumptions emanate from the fact that many festivities conducted by the Oromo nation are often considered to have political significance in the strug­gle of the Oromo nation for a fair rep­resentation within the political sphere in Ethiopia. What is your reflection on that? Do you see any connection? AD – The connection between Irreecha festivity and political system is widely vivid. Irree­cha, as it has been practiced in the last few years, is not only a mere cultural and reli­gious ritual. It serves as an opportunity for the Oromo to express their grievances and dismays with the prevailing system of po­litical governance. Using their songs, the Oromo publically express their concerns in relation to massive land grabbing prac­tices in the name of investment; denial of genuine and equal opportunities and political representations; harassment and deten­tion of people without due process of the law; and pervasiveness of corruptions and other perceivably unfair political practices. I do not think there is better environment than Irreecha for interest groups aiming to understand feelings and concerns of the Oromo. I think many of us witnessed for years the detention and harassment of several young Oromos for peacefully ex­pressing their grievances to the govern­ment using their traditional songs. In this sense, Irreechaceremony is partly political because it is quite often used by the Oro­mo to voice their grievances and concerns. I think the government could have used Ir­reecha to listen to voices and aspirations of the people. 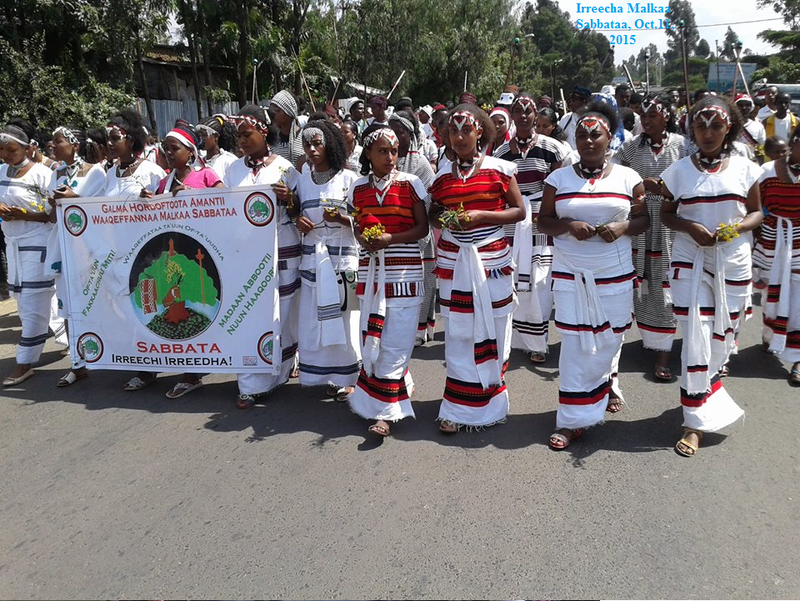 AS – Increasing number of Oromo literature assert the presence of Irreecha and oth­er Oromo festivals as having direct links with the term ‘Oromummaa’ (Oromo identity). 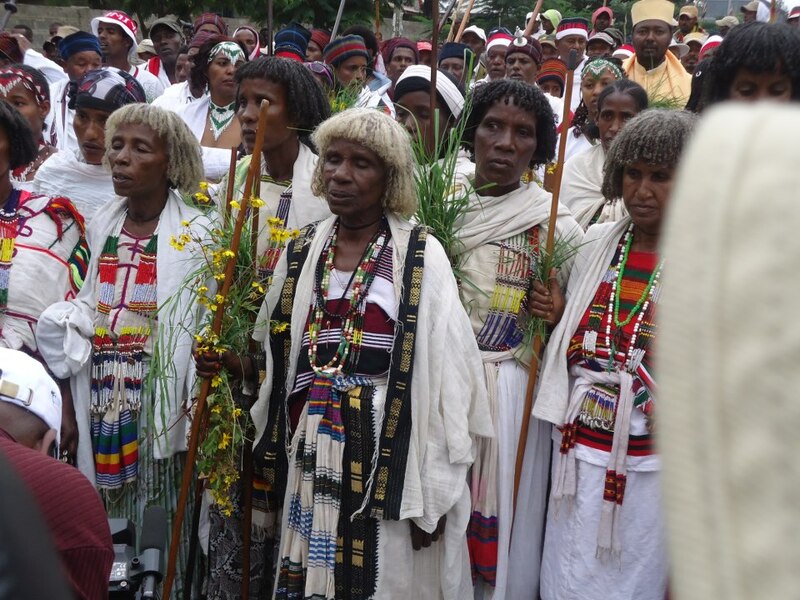 There are in fact arguments that Irreecha is considered by many Oro­mo youth as a “rite of passage” to their ‘Oromummaa’. Can you share with our readers your reflection of that argument? AD – I think, for the youth (which are also called the Qubee Generation) Irreecha is not a ‘rite of passage’ to theirOromummaa. The youth have obtained better opportunities to learn about the Oromo nation and iden­tifies that constitute ‘Oromummaa’ from their early time of socialization. They were brought up using their language (Afaan Oromo) for education, learning Oromo history and culture from the start, attend­ing multiple cultural ceremonies, etc. The youth are proud of being Oromo and prac­ticing ‘Oromummaa’. For instance, if one looks at the young and emerging artists, writers and fashion designers, they are the ones committed and dedicated to promot­ing‘Oromummaa’. The youth are the driving force for ‘Oro­mummaa’ to [shine] and continue flour­ishing. The youth have taken initiatives to mobilize the older generations (the ma­jority of whom were passive) to play their roles to build ‘Oromummaa’ to its fullness. Irreecha as core component of ‘Oromum­maa’ is being driven by the youth. They have centered Irreechaon the underlying concept of ‘Oromummaa’. In short, my un­derstanding is that the older generations are credited for connecting (remnants of) Oromo rituals and practices constituting ‘Oromummaa’ to the new generation, and the young generation is credited for the courage and initiative they have taken to advance ‘Oro­mummaa’ as it should be. AS – But at the same time there are strong, if not convinc­ing, arguments that there is no such thing as‘Oromum­maa’ and festivities such as Irreechaa are mere rituals practiced by the Oromo. How do you respond to that argument? AD – I do not think this argument holds water. 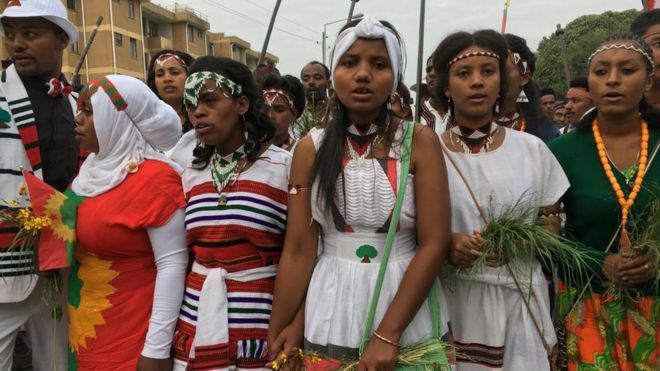 Basically, the significance of Irreecha is more pronounced as core component in the recon­struction of Oromo identity (Oromummaa) than prac­ticing mere religious beliefs. As discussed earlier, Irreecha has revived putting the Oro­mo identity foremost before anything else. That is why the Oromo Muslims and Christians have unreservedly joined the Irreecha festivity. 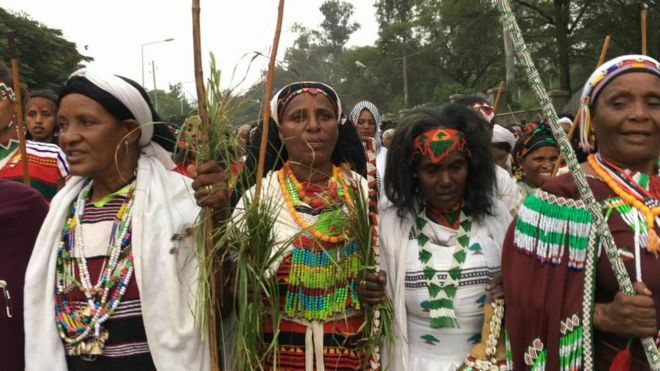 The Oromo are massively mobilized from all corners to attend Irreecha rituals large­ly because “Oromummaa” as a common denominator is in a desperate need to ad­vance the cause of freedom, human dig­nity and social justice. Thus, disentangling Irreecha from ‘Oromummaa’ is not only erroneous but also unacceptable. AS – Let’s talk about religion (mainly Christi­anity and Islam) vs traditional festivities by the Oromo. For example Meskel (the founding of the true cross in Orthodox Christianity) is known as ‘Damotii’ or ‘Masqalaa’ inAfaan Oromo and is cele­brated accordingly. 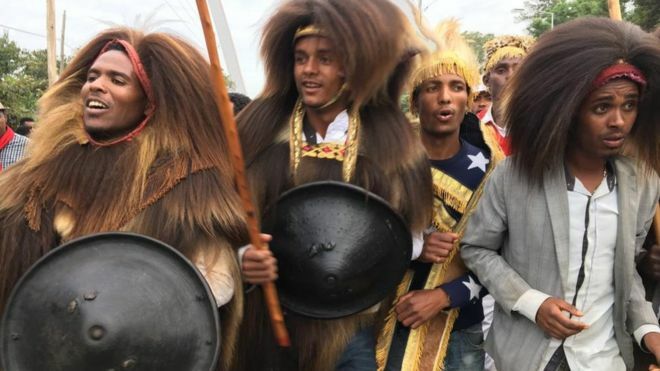 Although Meskel is still widely celebrated among hundreds of thousands of Oromos, some assert that it has overshadowed the relevance of other Oromo festivities, most nota­bly Irreecha. Do you agree with that as­sumption? Why? 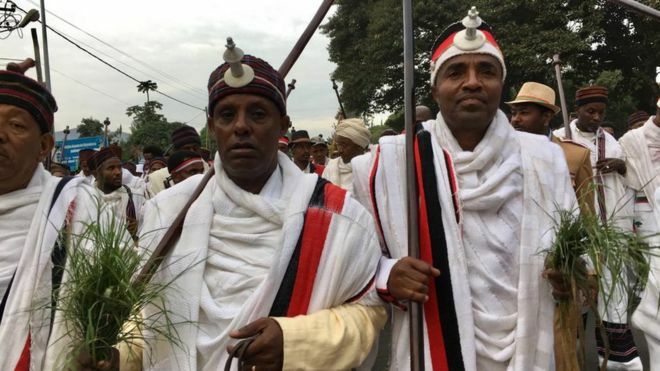 AD – In my view, Meskel and other externally imposed religious rituals were deliberate­ly and systematically designed to subdue the Oromo traditional rituals including Irreecha. These [religious] rituals have overshadowed the Oromo festivities not because the latter ones were irrelevant to the Oromo but because the Oromo were coercively reduced to the level they would not preserve and protect their cultural and religious rituals openly. 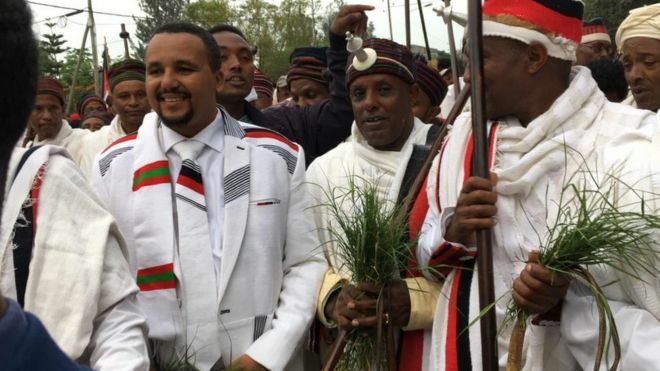 These imported reli­gious and cultural rituals have no space to entertain anything Oromo. The Oromo were utterly denied to express what they believed in. When the Oromo said they believed in Waaqaa (God), the imposed religions did not want to accept and rather openly preached that the Oromo were worshipping false gods, trees, rivers, mountains, etc. Defamation and humil­iation of the Oromo indigenous religion were the strategies consistently pursued. The Oromo were in a difficult position to fully accept and integrate themselves into these exotic religions. However, as subject people, they had no option but to practice what ‘their supposed masters’ told them to do. As the time passed, the Oromo began to assimilate to these im­posed rituals and started to attend their festivities. 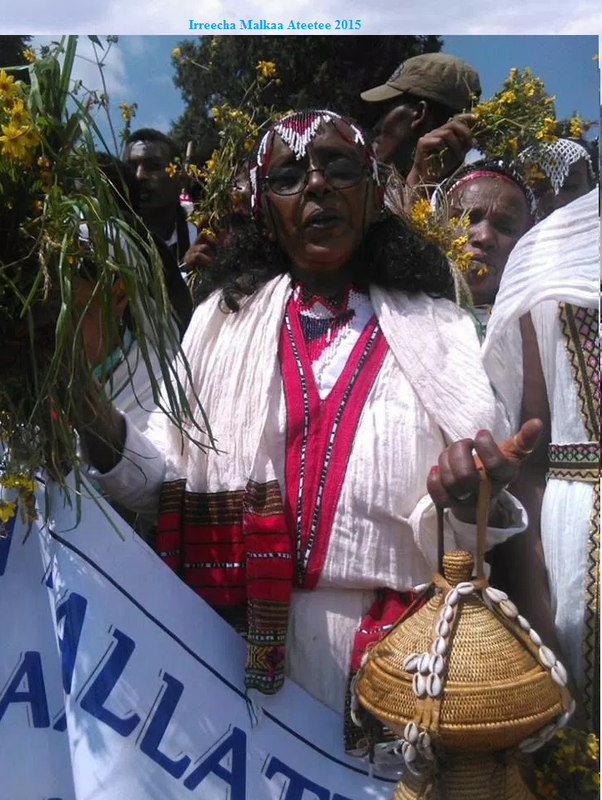 When opportunity opens up following the fall of the military regime in 1991, the Oromo did not take time to begin revitalizing their traditional rituals such as Irreecha. AS – But on the flip side of that storyline, Ir­reecha has singlehandedly become the most celebrated Oromo festival. But there are growing concerns that it has overshadowed other Oromo festivities such as ‘Waaqeefannaa’ or the concept of worshiping God. 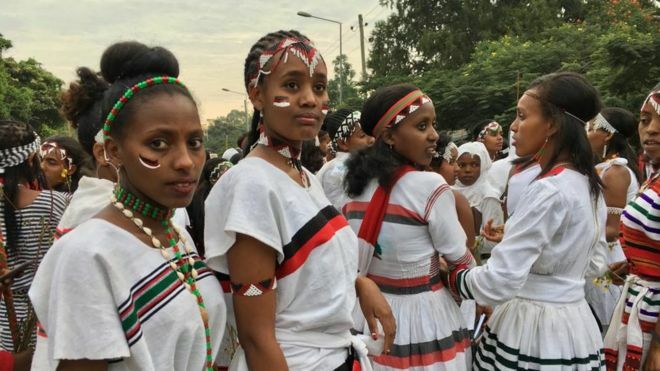 Do you think there is a need to reverse this trend in such a way that other traditional and cultural values of the Oromo are equally recog­nized and celebrated? AD – It is true that Irreecha has unprecedent­edly become the dominant Oromo ritu­al compared to other traditional ones. Strong Irreecha institution paves the way and complements other cultural rituals and practices. But despite its overwhelm­ing growth, Irreecha has not developed to the level required. As the time and condition allows, the Tulluu Irreecha, which takes place in spring, will have to develop in a similar manner as [Birra Ir­reecha]. The Irreechainstitution must de­velop to the extent that no force can once again brings down its functions and val­ues. More research, more dialogue, more institutional capacity building efforts, and stronger leadership are required to de­velop it into its fullness. I think stronger Irreecha institution feeds and waters oth­er cultural festivities to grow and flourish, not otherwise. We are witnessing the revival of other cultural rituals and prac­tices such as the different Gadaa rituals, cultural marriage practices and other ‘rite of passage’ rituals. The different cultural and religious rituals are interdependent and complement one another. They do not compete against each other as some people might think. 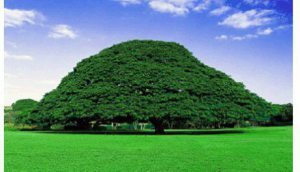 AS – Let’s move to the significance of Oromo festivities such as Irreecha to the national agenda. Do you think it is relevant? If so what do you think is its contribution to Ethiopia as a country? 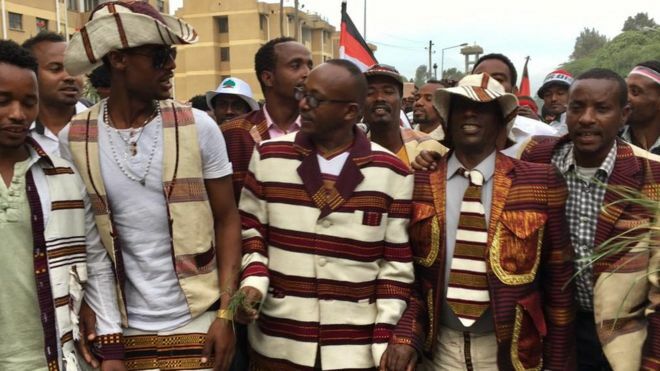 AD – Irreecha constitutes the cultural and reli­gious treasury of the Oromo nation. It is one of the greatest pillars of the Oromo identity. It symbolizes the inherent unity and solidarity among the Oromo. That is why so much sacrifice has been paid to re­tain and revive its ritual for over a century. Nothing explains the relevance of Irreecha to the Oromo much more than the sacri­fice they paid. The cultural and religious values embedded in its traditional institu­tion are too big for the Oromo, who by in large constitute the biggest ethnic group in Ethiopia, to be irrelevant. In addition, Irreecha is connecting the Oromo nation with other peoples around the globe. I don’t see anything bigger that can cultur­ally contribute to the national agenda. It is also becoming one of the attractive rituals drawing attention of the ever growing num­bers of tourists, generating income for the country. In my view, recognizingIrreecha in the national agenda is long overdue. AS – Lastly, do you think complaints that none of the Oromo festivities are marked as na­tional holidays in the Ethiopian calendar are justified? Some argue that Irreecha, its meaning being Thanksgiving, is as signifi­cant to the Oromo as Christmas is to the Christian Ethiopia. AD – What is certain at this stage is that Irreecha continues to grow in breadth and depth. Its future is brighter no matter what. This is so because more or less the Oromo, par­ticularly the youth, have taken the matter into their hands.Irreecha does not need more justification to be marked in Ethio­pia’s calendar as a national holiday. As I have said earlier, it is long overdue. Rather, it is the government in charge of the affair that has to justify why it has failed to rec­ognize Irreecha in the official calendar as a national holiday. Ed’s Note: Alemayehu Diro studied economics (B.A in 1988) and Social Anthropology (M.A in 2004) at Addis Abeba University (AAU). He attended several international and national trainings in the field of development, conflict transformation and peace building, project cycle management, leadership, human rights, communication, micro finance, and gender, among others. He worked as development practitioner in the civil society sector for nearly 20 years , of which he spent 13 years working for HUNDEE – Oromo Grassroots Development Initiatives as Program Operation Manager; two years with Forum for Oromo Studies; and five years working as General Manager for Network of Civil Society Organizations in Oromiya). He also worked as a freelance consultant for several local and international NGOs. He is the founding committee member of Oromia International Bank S.C., Oromia Insurance Company and Gutu Oromiya Business S.C. Alemayehu, 47, is married and is a father of six children.